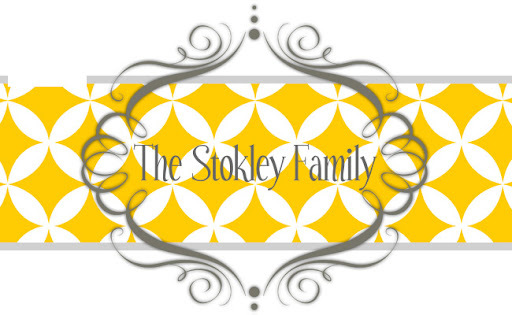 The Stokley Family: Jump Jump! We had Ryleigh and Tanner's birthday party Saturday night at Jumps A Lot. I don't know how much longer I'll get away with joint birthday parties for the 2 of them but man I love it! It's nice to just get it out of the way. It's also nice to not take up 2 of peoples Saturdays in a short amount of time. We had a great turn out we had over 30 kids and a ton of grown ups. My kids are so blessed to be loved by so many people! Thank you to everyone who came and celebrated with us! She was very excited about her sewing machine from Gi Gi! Tanner was most excited about his new DS from Mi Mi, La La, Aunt Tammy & Uncle Jimmy and Nana & Paw Paw. After the party they each got to ask 3 friends to spend the night...so a total of 8 kids at my house. CRAZY!!! The nice thing was that the party wasn't over until 9 so we didn't get home until 10. We played Red Rover, Duck Duck Goose, Freeze tag and hide and go seek outside until like 11:30 then they all came in and crashed. We wore them out!! Happy Birthday to my 2 favorite kids!